Whether your ecommerce business is considering entering the international marketplace or is already facing the challenges of payment security on a global scale, it’s imperative to understand the many issues that can occur. As technology advances to better protect both suppliers and buyers alike, the technology utilized by criminals has advanced as well. Today, we compiled some of the key challenges that come with offering online payments and some helpful tips to better combat these issues. Fraud – The best way to combat fraud is to leverage an online payment system that security experts have vetted and tested. 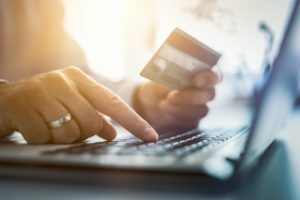 Unique security measures must be put in place, but it’s also important that the number of security hurdles doesn’t hinder a potential buyer from completing their purchase. Obtaining a healthy balance here is the only true way to combat fraud and not hurt sales numbers. Beyond that, it’s also important to identify high-risk areas or high-risk countries. Alerts must be set if unusual orders come through and any and all suspicious emails or physical addresses must be tracked. Information is truly power in the fight against fraud. Limiting Chargebacks – It’s important that businesses are prepared to limit chargebacks before they decide to sell internationally. Too many chargebacks can cripple a business. Processors will increase rates based on the number of chargebacks. The way to decrease chargebacks is to utilize technology to identify patterns of abnormal purchasing activity. Chargebacks often come due to someone else using a person’s credit card. Technology can help an individual get proactive about limiting chargebacks. Payment Card Industry Compliance – The PCI Data Security Standard applies to all companies that accept, process, store or transmit credit card information. Many companies have entire teams dedicated to meeting PCI compliance and improving the security of card transactions. FAC’s hosted payment page solution removes the need for merchants to capture, store and process card data, greatly reducing the PCI DSS compliance requirements as well as improving the overall security of the transaction. This enables the merchant to focus on growing their business while lowering PCI costs and scope. Difficulties Tracking Payments – Carrier services in the United States make tracking payments fairly simple. Without the proper software in place, it can be impossible to gather insight into when payments have been delivered. Transparency is key for successful businesses. Our experts work every day to help businesses work through typical barriers that come with international online payments, particularly in the Caribbean. We look forward to showing you what we can accomplish to help your ecommerce business better serve your customers across the globe.